We need your support! Your participation and involvement is essential to develop children of rural community. We invite you to involve in SN programs to improve the lives of poor, marginalized and orphan children, women and youth in Nepal. We count every support in the programmes. 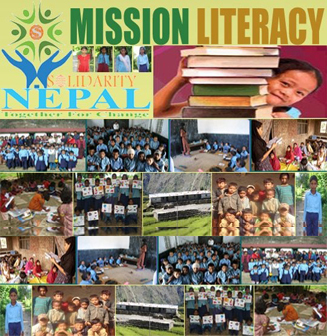 Solidarity Nepal relies on donations to carry out its programs in Nepal. Your supports of any size can contribute to or fund any part of any program. Your support can be un-designated and we will use the supports or fund where we see it is most needed within any of SN program or it can be designated funding, directed towards a specific area or program. 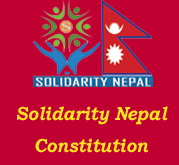 Solidarity Nepal seeks advice, assistance and expertise (in-kind donation) from experienced and qualified organization and individuals working in the field of children development, children education and community development. 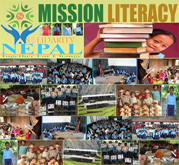 Solidarity Nepal works in the partnership of the government, the target community, school, individuals, groups, institutions and organizations to carry on its programs. Solidarity Nepal believes in collaboration as the only way to wisely and successfully accomplish its goals and fulfill its mission. Come join us. Volunteer your time, talent and expertise at on office, schools and any of programs. We’re nonprofit social organisation with very low running costs, so the majority of the money donated goes straight to our work in children, school, and community. Please support us, every penny does count. If you feel like raising some money yourself, we can help get you set up. Child sponsorship is a great way to get involved; you receive regular communications and school reports from your sponsored child, and the knowledge that your money is changing a child’s life. If you’re keen to know more or get involved, please let us know ! Finally, thank you to all our supporters who have kindly helped us. You’ve read about the difference your money makes and without you this work simply wouldn’t happen.